Respite care is the temporary care given to the sick and the disabled to allow their usual caregivers to take a break. This could be for a few hours to a few weeks. This enables the regular caregiver who could be a family member to take a vacation and recharge their batteries. Taking this break also relieves them from stressors which could ultimately lead to abuse or neglect of the sick and the elderly. There are residential homes with respite care in Birmingham which are designed to be homes away from home. These care homes also make it possible for the elderly to slowly adjust to living in an assisted living situation. Residential homes with respite care in Birmingham help their residents with medication management and personal hygiene care. They also provide meals, housekeeping, and laundry services. Constantly caring for the disabled, terminally ill, or the elderly without any help can be quite exhausting, therefore the prevalence of these centres that help to give these caregivers a break is really important. These respite care homes provide personalized services to their residents and try to make their stay as comfortable as possible. A lot of these care homes have well planned and well maintained gardens and surroundings which help to create a relaxing atmosphere for the sick and the elderly. Short stay residential homes in Birmingham also cater to patients who are recovering from surgeries or have been discharged from nursing homes and are unable to take care of themselves. The residents here enjoy good nursing care along with tasty meals and transportation for hospital visits if required. Residents who come here are encouraged to take part in activities so that they are busy and feel like they are in their own surroundings. There are different types of respite care homes such as those that provide in-home respite care where the caregiver comes to the home of the person who needs this care. There are day respite care homes where the elderly are taken care of during the day. This allows them to socialize in a safe environment. There are residential homes in Birmingham that provide respite care during weekends or overnight as the need may be. Respite care is personalized according to the need of the individual. The staff is usually well trained and all attempts are made to meet the emotional and physical needs of the patients. The move to a care for home for your senior parents in Worcester is likely to be a difficult and emotional time for both the caregiver and parent. Here are some tips on what you can do to make the process a little bit easier. When you’re considering a care for home for your senior parents in Worcester, involve your parent in the decision making process. Even if he or she doesn’t have the full mental capacity to make an independent decision about the move. Giving them as much choice as possible and giving importance to their views will help them feel like they have some control over this big lifestyle change. Provide the staff at the care home with as much background about your parent as you possibly can. Tell them about your parent’s likes, dislikes, food preferences as well as their life story so that they can use this information to provide individualized care and support. Discuss your parent’s needs and requirements so that a personalized care plan can be drawn up. The best friendly care homes in Worcester welcome caregiver’s involvement. Make the room at the care for home for your senior parents in Worcester homely and familiar. Decorate it with personal items such as cherished photos, favourite ornaments and so on. The best care homes allow clients to bring their favorite blankets, pillows and music as being surrounded by familiar things allows clients to feel comforted during the difficult transition period. It may be a good idea to label personal items such as clothes and furnishings so that they don’t get mixed up in laundry. Following the move, try to stay as involved and connected as you can. Visit your loved one, try to come in at meal times so that you can have family meal together. Encourage your loved one to socialize and lead an active, independent life at the care home. If the care home has relatives or attendant meetings, attend them to talk about any issues you have concerns about. Finally, don’t ignore your own feelings about the move – it’s going to be hard on you too. Seek the necessary support you need from family, friends or a professional to come to terms with this life changing move. Taking care of an older person or a sick one is a full time job which can be a demanding one. Respite care in short stay residential homes in Birmingham enables care givers to take a short break knowing fully well that their dependents are well looked after. The personal details, preferences and needs of every respite client is taken into account before they arrive. This way their short stay is guaranteed to be a pleasant and stress- free one. The residential homes with respite in Birmingham have a team of nursing specialists that are trained experts in taking care of older people. Even those clients that suffer from Parkinson’s or Alzheimer’s are supported well at a respite care facility. Each person’s care and treatment are tailored to suit their needs taking into account their daily routine and interests. Respite clients have their own bedroom and are free to personalize it in any manner to make the space more familiar and safe. Family and friends are welcome to join in a meal or for a special occasion. Most of these homes encourage their clients to take an active part during their stay and motivate them to be as independent as possible. When Are Respite Care Home Services Required? Taking care of a sick or elderly loved one is a privilege but can take its toll, therefore respite homes can provide a caregiver a much needed break to recharge and take care of their own needs for short periods of time. Older people can use short stays in residential homes in Birmingham as a transition step before they leave on a permanent basis to an old age facility. Respite homes can help clients deal with the emotional and social loss of family and home. Clients can test the environment on their own terms or go through a trial run without the added stress. Sometimes a short stay will help you recuperate or recover from an injury or illness. The respite home provides the added support and help you need to get back on your feet. It can also offer clients a chance to socialize and partake in meaningful leisure activities which will increase self -worth and confidence. With the demands in life increasing, residential homes with respite in Birmingham are a great solution to stressed care givers and the elderly clients as well. There are many different types of respite care that are available these days, depending on your needs and the needs of your loved one. Short stay residential homes in Birmingham will allow you to have some time for yourself so that you will be refreshed and ready to give the best care again for your loved one. Here are some different types of respite care that you can choose from, based on the needs and preferences of you and your loved one. If you would prefer to keep your loved one at home instead of shifting them to residential homes with respite Birmingham, you could hire an in-home aid independently or through a reputed respite care agency. There are various services that in-home aids provide, from special care services to housekeeping services. You can ask for in-home aids that specialize in the condition of your loved one, say if he or she is suffering from a particular age-related disease. In-home aids allow your loved one to have the familiarity of home with the skilled services of a professional respite caretaker. Similar to the concept of day care centers for babies and kids, daily care centers are a perfect option for those caregivers who would like to go back to work without leaving their loved one in residential homes with respite Birmingham. These centers are usually open for fixed hours during the day, where you can drop off your loved ones to be cared for during the day. There are many advantages to this type of respite care setting. Your loved one will be able to socialize with others and make friends in the center, while also being engaged in activities that will help them be active and keep them occupied, according to their condition. The only drawback for this type of respite care is that they have limited hours, and no overnight care is available. Another very beneficial option of respite for your loved ones is residential homes with respite Birmingham. These facilities provide 24-hour care for their residents, making it possible for you to take a break or attend conferences and meetings without having to worry about your loved one. Short stay residential homes in Birmingham provide the best solution for you and your loved one, especially if you need to travel frequently for work or any other reason. Choosing a residential home with a respite in Birmingham for you or a family member may turn out to be one of the most difficult decisions you may ever have to make. That is why it is extremely important to choose a short stay residential home in Birmingham with care. Selecting a short stay residential home in Birmingham in a hurry is never a good idea. Decide in advance what kind of home you need, take your time with the research, consider the location and comfort of the home. Don’t select a residential home in an area where there is a lot of noise, review the security and safety features that the home provides and visit a number of homes to see the place for yourself before deciding. Check if they have handicap access if residents look well cared for if there is the warm interaction between staff and residents and always keep an eye open for red flags when you go to visit. When you’re looking for a residential home with the respite in Birmingham for your loved one it is important to check all the facilities they provide. Find out what are their medical facilities, how large is the campus, what food they provide, how trained the staff is, what is the care quality of the home, what are the bathroom facilities and so on. In case you are looking for a place to keep your love for a long time, you should check if the home will meet your specific ethnic, religious, cultural or social needs. Further, check if they organize outings and how often, what are their arrangements for visiting, what is the long-term personal care provided, what are the various activities provided, are pets allowed, is it a clean environment and campus, are single bedrooms available and so on. Before choosing a residential home it is always good to research the cost of various homes against their facilities and services provided and then plan in advance with regard to financing. Even if it is for a short stay this will be helpful because the last thing you should do is spend excess for limited facilities. Finally, no matter if it is for a short term or long term it is very important that your loved ones are informed and are comfortable with the place you pick. How important is Outdoor Open space at a Care Home ? When it comes to that time for a loved one to enter into a Care Home, for most of us, it is with a heavy heart which drives us to this decision. In the ideal world, it would be better to keep them in their own home where they are surrounded by familiar things, people and routines. Unfortunately, as is the case these days, many people who are in their advancing years simply cannot cope with the general running of a property on their own, organising grocery shopping, dealing with household bills together with household chores. You can imagine how your loved one must feel the first time they enter an establishment where it is very likely they’ll spend the rest of their lives there. It is vital therefore, to ensure the feeling is that of ‘home from home’. The kind of surroundings associated with a comfortable home. We at Dunley Hall are very proud to be able to offer fabulous garden space for all our residents to enjoy. For a Care home in Birmingham to have a garden is vital for the residents to enjoy and feel right at home. Looking for a Dementia Care Home in The West Midlands? When a loved one is suffering from early signs of dementia, it can be a very daunting time for all who care for them. This is something which affects millions of people throughout the world and the figure is likely to rise over the next few years. By 2025, the forecast is for the total number of sufferers to be around 1 million in the UK alone. The question is, how would you know what to do for your loved one who is showing early signs of the condition? The first step is to understand the type of dementia we are dealing with as this will dictate the kind of care needed in order to minimise the trauma experienced by the sufferer. It will also establish the care options available giving you time to prepare accordingly. We at Dunley Hall specialise in Dementia Care in the West Midlands as we understand only too well, the needs of dementia sufferers and how to make their lives as pleasant and normal as possible. It certainly doesn’t mean their lives are over just because of this condition. Far from it. Over the years, treatment of this condition has improved enormously as there are many options available from medication to simply slow symptoms down to straight forward lifestyle changes. Together with support for the families around, people living with the condition can lead normal lives knowing there are people there to make the whole journey easier. As anyone will appreciate who has a loved one or relative with Lewy Bodies Dementia and is looking for a Care Home for Dementia in the West Midlands, it is of paramount importance to make the right choice for the right reasons. Naturally, this is a trying time for all concerned, especially as the symptoms of dementia appear to be becoming more pronounced. It is important for the sufferer to continue as much as possible with their lives whist incorporating all the normal activities as before. Of course, as time progresses, things will start to become increasingly difficult. When you’ve arrived at this stage, there are NHS Social services together with voluntary organisations which are there to help with advice and support for your family. We at Dunley Hall have many Lewy Body Dementia sufferers and so know only too well, the challenges they face. With our staff’s compassion, consideration and kind attention to our resident’s needs, they feel right at home with us. Whilst their memory may not be what it was, we strive to keep their minds alive with daily activities which they may enjoy to reignite things they once enjoyed such as : regular sing along sessions, exercise sessions, gardening, flower arranging, cards, skittles, arts and crafts, quiz afternoons and movie nights etc etc. Combined with the ‘home from home’ feeling, our residents are safe in the knowledge their days are not just a case of existing but living…nothing gives our staff a bigger thrill than to see the residents with a beaming smile on their face. Is Dunley Hall the Best Care Home in the Birmingham area ? So what makes a really good care home and one which is so good, you’re prepared to move a loved one in ? I suppose more importantly, who decides whether the care home for the elderly is right or not, the resident themselves or the relative (s) who make the arrangements ? For many of the best Care homes in the Birmingham area, this must be a difficult question as they will be trying to cater for both parties. The impressive facade, comprehensive features expensive fixtures and fittings will undoubtedly impress the decision makers (especially if they are responsible for paying the bill) but ultimately, the most important factor here is the resident themselves. We at Dunley Hall recognise that all our Residents have completely different needs and are thereby impressed by different factors; ironically, none of the things which may be important to the relative(s) who make the initial arrangements. It’s the way we make our residents feel that we at Dunley Hall focus upon. Do they feel secure, are they comfortable, do they feel right at home and are we listening and acting upon their needs? Of course, we do have impressive facilities which our residents like and enjoy on a regular basis such as great individually prepared foods, comfortable and individually tailored rooms, lovely gardens and games rooms etc. More importantly, we also encourage our residents to fill their days with activities which they do or hope they will enjoy such as ; quiz afternoons, gardening, knitting, flower arranging, sing along sessions, baking, exercise sessions, darts, cards, skittles as we feel it important to fill their days with enjoyable events which can be looked forward to. Looking for a Quality Residential Home in The West Midlands ? It can be a very daunting task when you finally realise it’s time for a loved one to move into a Residential Care Home in Birmingham. The prospect of taking them away from their home, where their creature comforts and the feeling of safety and security are ever present. 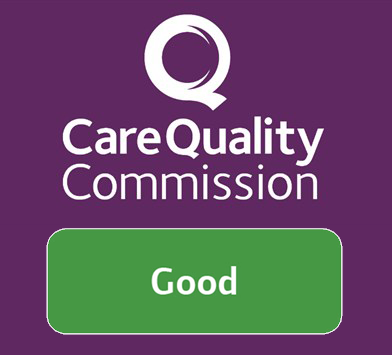 The question is, what do you look for in a quality care home, what factors determine your decision and how do you recognise a good Care home compared with one which simply won’t be right for your needs? Without doubt there are some very impressive Care Homes out there, some with amazing facilities such as in house hair salons, Cinema rooms, various restaurants,libraries, beautiful gardens with great views etc etc. However, the harsh reality is all this can be meaningless unless the care behind closed doors matches the facilities on offer. The fact is, many residents are simply not interested in such features as these are things which may never have been part of their previous lives anyway and as such will not be an important factor in ensuring their future happiness. We at Dunley Hall place our entire focus upon making all our residents feel right at home…put simply,it is a ‘home from home environment’. The overall care, kindness and compassion provided by our staff is highlighted by the fact that our residents simply don’t want to be anywhere else because they are at home. One easy way to help make the right move is to place your loved one into ‘a residential home with respite care’. This way, they’re able to see how the Home makes them feel, the level of care and understanding, not to mention the quality of food on offer (is it the way they like it ?). Why not call us or simply pop in when you’re in the area and have a look around, one of our friendly staff will be happy to help and answer any questions or potential concerns you may have.